Emotion. 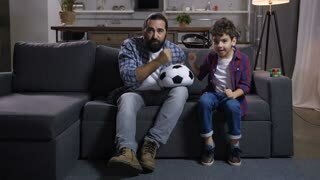 Multi ethnic guys watch sports, get upset. Slow motion. Geeky fan supporters disappointed, emotional and sad. 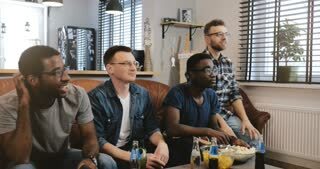 Multi ethnic men disappointed watching sports game. 4K Passionate geeky fans get emotional and sad. Loss and failure. 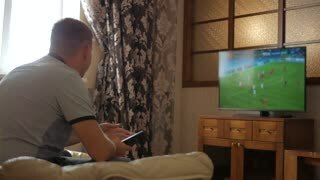 Emotional football supporters watching match on tv broadcast program at home, disappointed with soccer team losing. 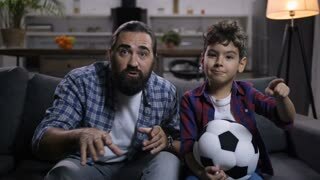 Upset father and son watching sport on tv, expressing negativity after team defeat.